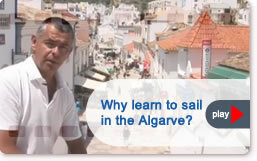 Learn to Sail with our fantastic RYA sailing courses in the beautiful Algarve. Combined Theory and Practical courses. 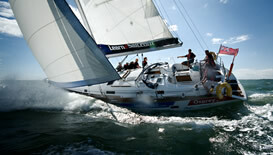 Welcome to Learn2Sail, Professional Sail Training Courses. Whether you are taking your first step in learning to sail or if you are already an accomplished sailor, Learn2Sail offers you tailor-made sailing courses in the stunning waters of the Algarve, Portugal to help develop your sailing knowledge, experience and expertise. Based in the spectacular surroundings of Portimao on the Portuguese Algarve you will have the opportunity to sail in near perfect conditions all year round to gain the confidence you need to handle your own yacht or charter boat. You will be sailing on one of our beautiful yachts, ‘Osprey,’ for instance is a Beneteau 411 Oceanis, and can easily accommodate up to 5 students, usually with a cabin each in complete comfort. 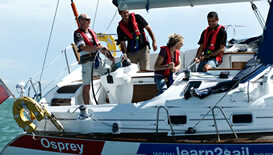 With Learn 2 Sail you will enjoy the best sailing tuition and will be living on board one of our yachts for the duration of your course. Exploring the wonders of the Portuguese coastline as a bonus. Husband and wife team, Mark and Jane Sanders, are supported by the professional Learn 2 Sail crew who will ensure that you have a fantastic sailing adventure in the beautiful Algarve while we teach you to sail. 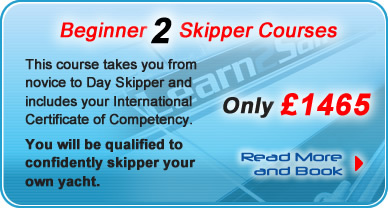 If you’d like to learn to sail, we would love to teach you!